A heel spur is caused by the displacement of calcium on the bone that forms on the underside of the heel, it may be one small bony protrusion or a collection of tiny, irregularly shaped growths on the bone of the heel, which is called the calcaneum. Heel spurs are sometimes painful, described as a knife digging into the heel and other times, a heel spur goes unnoticed and is only detected by an X-ray. Patients and doctors often confuse the terms heel spur and plantar fasciitis. While these two diagnoses are related, they are not the same. Plantar fasciitis refers to the inflammation of the plantar fascia--the tissue that forms the arch of the foot. 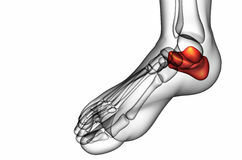 A heel spur is a hook of bone that can form on the heel bone (calcaneus) and is associated with plantar fasciitis. About 70 percent of patients with plantar fasciitis have a heel spur that can be seen on an X-ray. However, many patients without symptoms of pain can have a heel spur. The exact relationship between plantar fasciitis and heel spurs is not entirely understood. Retrocalcaneal Bursitis is an inflammation of the protective sack between the heel bone and the Achilles tendon. It is the inflamed bursa that produces the redness and swelling associated with Haglund's deformity. When the bursa becomes inflamed after an injury, symptoms usually develop suddenly. When the bursa develops without an injury, symptoms may develop gradually. With both posterior and anterior Achilles tendon bursitis, symptoms usually include swelling and warmth at the back of the heel. A minimally red, swollen, tender spot develops on the back of the heel. When the inflamed bursa enlarges, it appears as a red lump under the skin of the heel and causes pain at and above the heel. If posterior Achilles tendon bursitis becomes chronic, the swelling may become hard, fluid-filled, and red or flesh-colored. The diagnosis is based on the symptoms and an examination. For anterior Achilles tendon bursitis, doctors use x-rays to rule out a fracture of the heel bone or damage to the heel bone caused by rheumatoid arthritis or other inflammatory arthritis. Podiatric Care may include using anti-inflammatory oral medications or an injection of medication and local anesthetic to reduce the swelling in the bursa. An injection may be used for both diagnosis and for treatment. When you go to your doctor, x-rays are usually required to evaluate the structure of your foot and ankle to ensure no other problems exist in this area. They may advise you on different shoewear or prescribe a custom made orthotic to try and control the foot structure especially if you have excessive pronation. 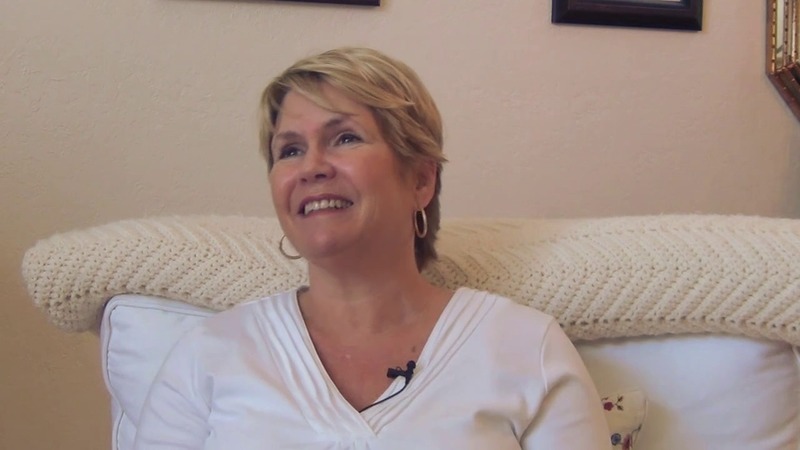 Sometimes patients are sent to Physical Therapy for treatment as well. To aid in relief of pressure points, some simple padding techniques can be utilized. Most all patients respond to these conservative measures once the area of irritation is removed. You may be able to prevent bursitis from happening or coming back. Continue your home treatment with rest, ice, pain relievers, and gentle exercises. When you are ready to try the activity that caused the pain, start slowly and do it for short periods or at a slower speed. Warm up before and stretch after the activity. Increase your activity slowly, and stop if it hurts. Use ice afterward to prevent pain and swelling. Change the way you do activities with repeated movements that may strain your muscles or joints. For example if using a certain tool has caused bursitis, start switching hands or change the grip size of your tool. If sitting for long periods has caused bursitis, get up and walk around every hour. If a certain sport is causing bursitis, consider taking lessons to learn proper techniques. Have an expert check your equipment to make sure it's well suited to your size, strength, and ability. If certain activities at work may be causing bursitis, talk to your human resources department about other ways of doing your job, equipment changes, or other job assignments. Protect your joints from pressure. Cushion knees or elbows on hard surfaces, and wear shoes that fit you well and have good support. A Hammer toes is a deformity of the second, third or fourth toes. In this condition, the toe is bent at the middle joint, so that it resembles a hammer. Initially, hammer toes are flexible and can be corrected with simple measures but, if left untreated, they can become fixed and require surgery. People with hammer toe may have corns or calluses on the top of the middle joint of the toe or on the tip of the toe. They may also feel pain in their toes or feet and have difficulty finding comfortable shoes. Orthotics are shoe inserts that can help correct mechanical foot-motion problems to correct pressure on your toe or toes and reduce pain. Changing shoes. You should seek out shoes that conform to the shape of your feet as much as possible and provide plenty of room in the toe box, ensuring that your toes are not pinched or squeezed. You should make sure that, while standing, there is a half inch of space for your longest toe at the end of each shoe. Make sure the ball of your foot fits comfortably in the widest part of the shoe. Feet normally swell during the course of the day, so shop for shoes at the end of the day, when your feet are at their largest. Don't be vain about your shoe size, sizes vary by brand, so concentrate on making certain your shoes are comfortable. Remember that your two feet are very likely to be different sizes and fit your shoe size to the larger foot. Low-heel shoes. High heels shift all your body weight onto your toes, tremendously increasing the pressure on them and the joints associated with them. Instead, wear shoes with low (less than two inches) or flat heels that fit your foot comfortably. Surgery is the approach that is often necessary to correct hammertoe that fails to respond to nonsurgical management. Surgery is appropriate when the muscles and tendons involved in a hammertoes hammertoe problem have become so tight that the joints are rigid, misaligned and unmovable. There are a number of surgical techniques for dealing with the complex range of joint, bone, muscle, tendon and ligament abnormalities that define each hammertoe's make-up. To correct a hammertoe deformity, the surgeon's goal is to restore the normal alignment of the toe joint, relieving the pressure that led to the hammertoe's development (this should also relieve the pain, as well). 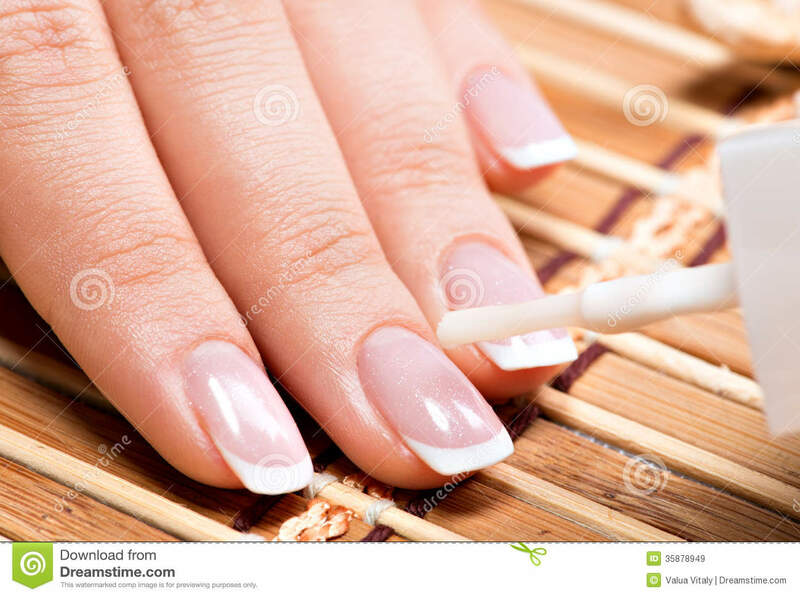 To do this, he or she may remove part of the boney structure that creates a prominence at the top of the joint. Tighten or loosen the muscles, tendons and ligaments around the toe joints. Realign the toe bones by cutting one or more and shifting their position, realigning muscles, tendons and ligaments accordingly. Use screws, wires or plates to hold the joint surfaces together until they heal. Reconstruct a badly damaged joint or replace it with an artificial implant. Hammer toe is defined as a deformity in the toe where part of the toe is permanently bent downward resembling a hammer. Two related conditions are mallet toe and claw toe which effect different toe joints in slightly different ways. The key difference is that Hammer toe tends to effect the middle joint in the toe (note: not the middle toe, the middle toe joint). The disease is usually associated with the second largest toe but can effect the third or fourth toe as well. Mallet toe effects the uppermost toe joint whereas claw toe is caused by the tow being held in a cramped ?claw-like? position. Wearing proper footwear may ease your foot pain. Low-heeled shoes with a deep toe box and flexible material covering the toes may help. Make sure there's a half-inch of space between your longest toe and the inside tip of your shoe. Allowing adequate space for your toes will help relieve pressure and pain. Avoid hammertoe over-the-counter corn-removal products, many of which contain acid that can cause severe skin irritation. It's also risky to try shaving or cutting an unsightly corn off your toe. Foot wounds can easily get infected, and foot infections are often difficult to treat, especially if you have diabetes or poor circulation. 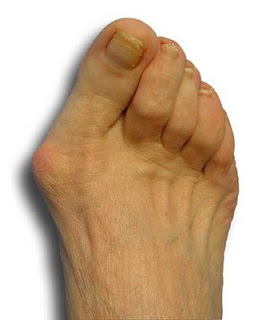 A bunion occurs when the big to begins to deviate towards the second toe. The biggest misconception is that bunions occur from an overgrowth of bone. While this may be true in very few people, the bunion really represents a dislocation or subluxation of the big toe joint and it bulges against the skin. This bony prominence is what is commonly called a bunion. Sometimes the bunion area may become irritated, red and/or callused. The exact cause of bunions is unknown, but they tend to run in families. Wearing badly fitting shoes is thought to make bunions worse. It's also thought that bunions are more likely to occur in people with unusually flexible joints, which is why bunions sometimes occur in children. In some cases, certain health conditions, such as rheumatoid arthritis and gout, may also be responsible. SymptomsSymptoms, which occur at the site of the bunion, may include pain or soreness, inflammation and redness, a burning sensation, possible numbness. Symptoms occur most often when wearing shoes that crowd the toes, such as shoes with a tight toe box or high heels. This may explain why women are more likely to have symptoms than men. 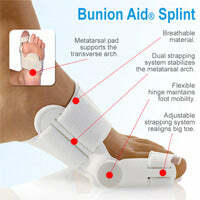 In addition, spending long periods of time on your feet can aggravate the symptoms of bunions. People with bunions may be concerned about the changing appearance of their feet, but it is usually the pain caused by the condition that leads them to consult their doctor. The doctor will evaluate any symptoms experienced and examine the affected foot for joint enlargement, tissue swelling and/or tenderness. They will also assess any risk factors for the condition and will ask about family history. An x-ray of the foot is usually recommended so that the alignment of big toe joint can be assessed. This would also allow any other conditions that may be affecting the joint, such as arthritis, to be seen. Somtimes observation of the bunion is all that?s needed. A periodic exam and x-ray can determine if your bunion deformity is advancing. Measures can then be taken to reduce the possibility of permanent damage to your joint. In many cases, however, some type of treatment is needed. Conservative treatments may help reduce the pain of a bunion. These options include changes in shoe-wear. Wearing the right kind of shoes is very important. Choose shoes with a large toe box and avoid narrow high heeled shoes which may aggravate the condition. Padding. Pads can be placed over the area to reduce shoe pressure. Medication. Nonsteroidal anti-inflammatory drugs may help reduce inflammation and reduce pain. Injection therapy. Injection of steroid medication may be used to treat inflammation that causes pain and swelling especially if a fluid filled sac has developed about the joint. Orthotic shoe inserts. By controlling the faulty mechanical forces the foot may be stabilized so that the bunion becomes asymptomatic. Bunion surgery is an option for those who have persisting pain and the condition is worsening. Surgery on a bunion can correct the bone deformity, increase function and relieve pain. Bunion surgery should not be considered lightly, the surgery is often successful but there is a rate of surgical failure. The big toe can move back into its previous place if the patient does not follow instructions, which will result in the pain returning. The surgical failure for bunions can be reduced greatly if activity restrictions are followed and proper footwear is worn after surgery. Bunions often become painful if they are allowed to progress. But not all bunions progress. Many bunion problems can be managed without surgery. In general, bunions that are not painful do not need surgical correction. For this reason, orthopaedic surgeons do not recommend ?preventive? surgery for bunions that do not hurt, with proper preventive care, they may never become a problem.